The suite of reports published by C&S Grain Market Consulting provides valuable insights to the corn and soybean markets to help you better market your crops. Covering a wide array of topics, these emails are just another way to help you be PROACTIVE instead of REACTIVE. This 8-page weekly report, delivered directly to your email, contains summaries and commentary on ethanol production, imports, use, stocks and more. Available for both corn and soybeans, these 5-page weekly reports, delivered directly to your email, provide insight into the grains market. 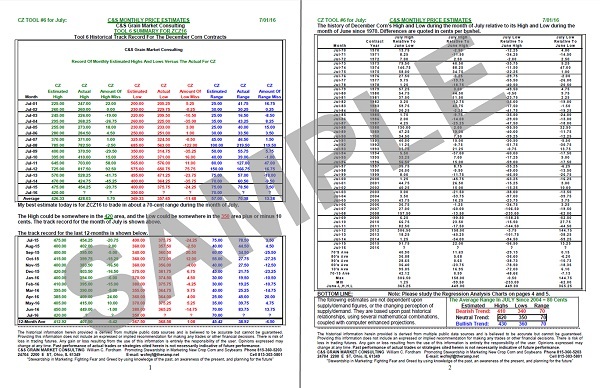 With discussion about price movements, current estimates, and market analysis, these reports contain a wide variety of valuable information to help you market your grain. 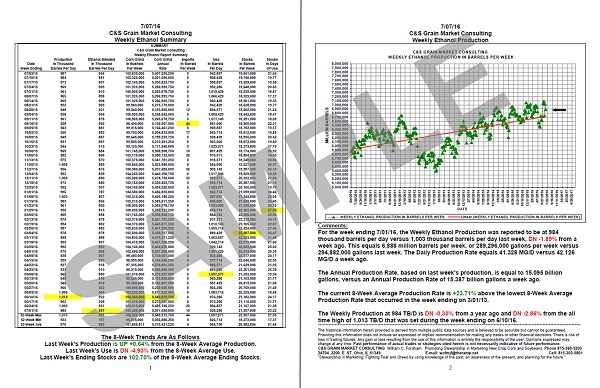 Available for both corn and soybeans, these 3-page reports provide insight into the grain contract's historical summer high and seasonal swing. This comprehensive, 6-page monthly report which is available for both corn and soybeans provides a summary and accountability track record on price range predictions for each respective crop. 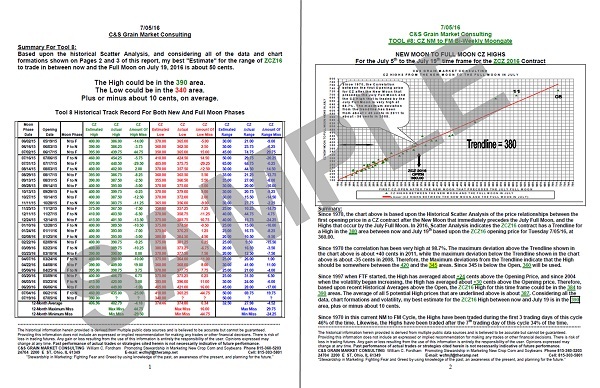 Tool 5 is a study of how the corn highs and lows following each WASDE Report compare to the average of the WASDE estimated highs and lows for corn. 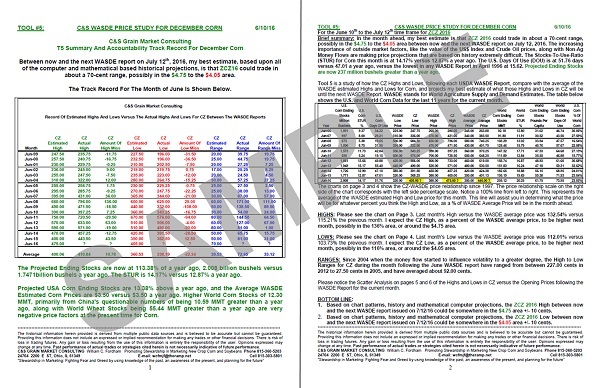 Available for both corn and soybeans, these 5-page reports provide insights to the historical track report for each respective crop's contract. 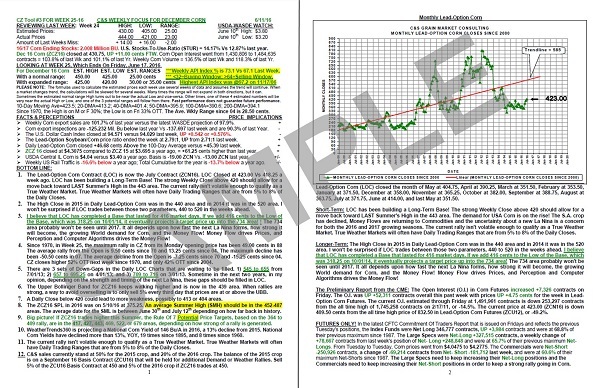 Available for both corn and soybeans, these 3-page reports utilize historical scatter analysis to provide estimates for the range of price between the new moon and the full moon.